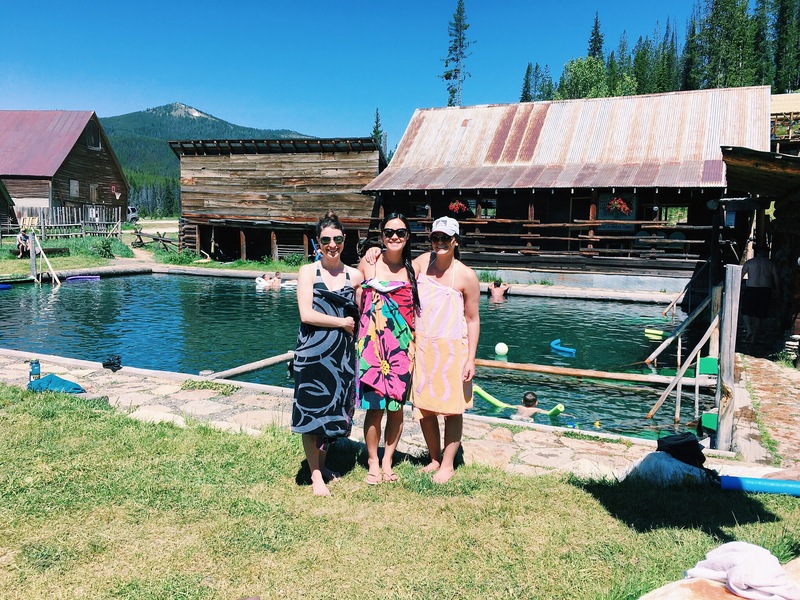 A few weeks ago during one of our trips to the cabin we went with a bunch of family to the Burgdorf Hot Springs. It was about an hour away from the cabin way up into the mountains. It was a gorgeous drive with mountain peaks still covered in snow on a winding road along really pretty secluded lakes and through tons of trees. 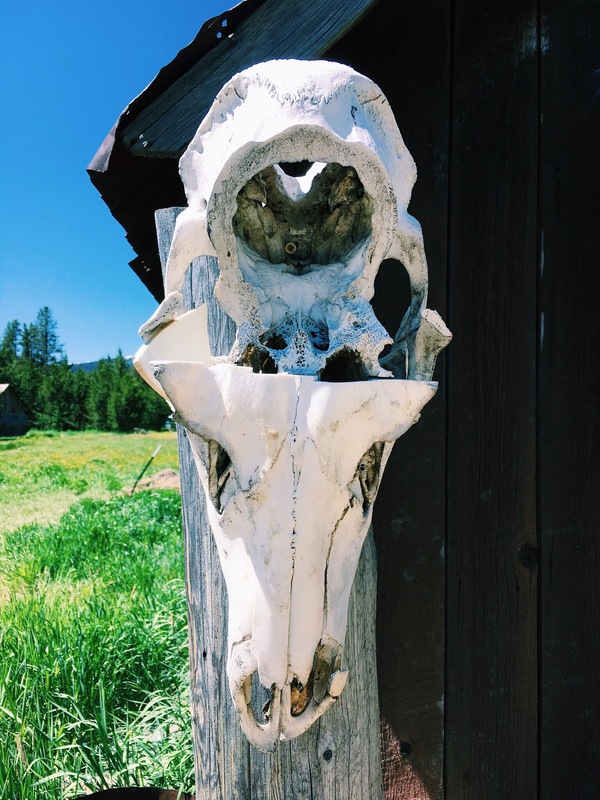 When we got there it was in the middle of a bunch of meadows at a ghost town with really old log cabins all around the grounds. It was so pretty and relaxing to hang around the hot springs, get in the warm water and get a little tan going. There was one main pool that had a natural sandy bottom that was nice and warm but not crazy hot, and then there were two small pools that were scalding hott! I seriously couldn’t go in them, but Eric and my brother-in-law of course went in them and came out with red lines across their bodies where the hot water was up to. They looked like they were cooked lobsters, it was so funny, I don’t know how they handled that heat. We can’t wait to go back in the winter when the only way to get there is to ride snowmobiles and get in the hot pools with the snow all around. Hope you’re all having a wonderful summer with lots of fun adventures! I would strongly recommend locating another facility at which to enjoy a quiet day or two at Idaho’s hot springs. We both emailed and called the management of Burgdorf Hot Springs to confirm we could bring the trailer and use it for cooking. We were told it was fine since we had also rented a cabin paying for each of us. As there are no electrical hookups, there is no way for us to cook in our trailer without the use of a small generator to run the lights, fan, and pump. We kept the generator in the back of our truck with the cover closed except for a small section, muffled it with cardboard, and used it for less than 45 minutes from 10:20 until we finished cooking breakfast and heating the water for washing up. I checked with a couple of guests on the way out who said they never even heard it running. I could barely hear it sitting outside our trailer myself. However, that morning while we were cooking breakfast the caretakers came over and told us we would have to leave because they don’t allow trailers. I hadn’t brought any other camp cooking equipment because by email and phone we’d been told it was fine. Also, my father chose to sleep in a sleeping bag in the trailer for safety. When we parked at midnight, we couldn’t see what access there was to the trailer. Because of this and because it appeared that the only access to the cabin was three steep fairly rickety steps that my elderly father could not manage, he decided that sleeping in the trailer was safest. We attempted to explain all of this to the management and we had not only emailed but called to discuss this. However, their only solution was for us to leave. I can honestly say I later reached out to several friends who lived in the area and they have all told me that I had made a poor choice in this facility to go to and several recommended Thousand Springs just down the road. My biggest concern through all of this was the simple fact that in asking us to leave they took away the opportunity for my children to participate in swimming under the stars in the hot springs which was our purpose for making a reservation in the first place. I can assure you we simply won’t go back nor will we ever recommend this location to anyone as there are several other Hot Springs in rustic and rural areas throughout this area of Idaho for people to enjoy without the heartache being asked to leave even when the customer has asked for clarification and permission prior to taking any action. Hi Shannon, I’m sorry to hear that these hot springs weren’t as enjoyable to your family as they were for ours. We didn’t stay the night or use their facilities other than swimming in their hot springs. 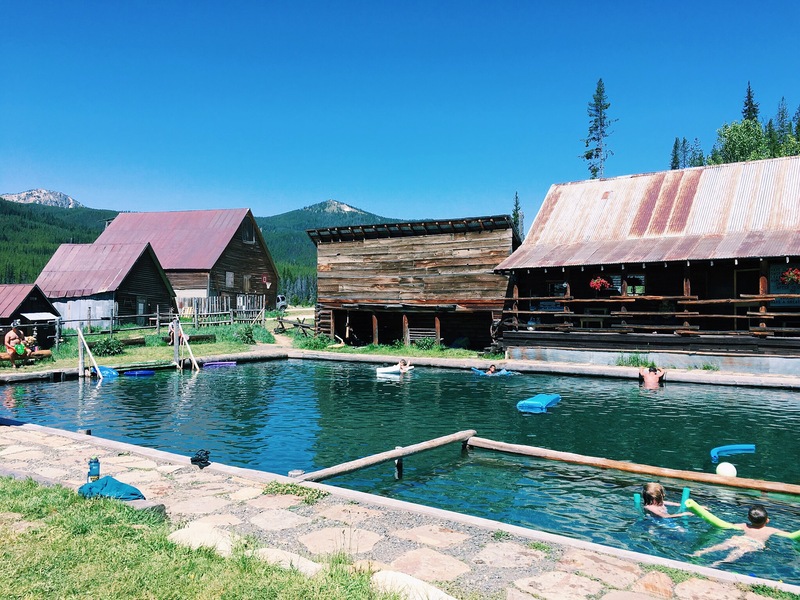 Thank you for sharing and stopping by my blog, I hope the information you shared in this comment will help further inform other readers who may come across my post and use it as a recommendation for these hot springs. I would recommend you share your input on a travel review website to reach the audience you’re hoping to help. Thanks!